1. Start your live stream how you normally do from your encoder software or hardware device. Open up an internet browser that supports Flash, such as Google Chrome or Microsoft Edge. Now proceed to login to the CWM Dashboard using your CWM login credentials. After logging into your account click the "Share on Facebook Live" button as shown below. 2. Click on the Step 1 button and a Facebook login popup window will appear. If you do not see a popup, make sure your popup blocker is not preventing popups from loading on this page. 3. 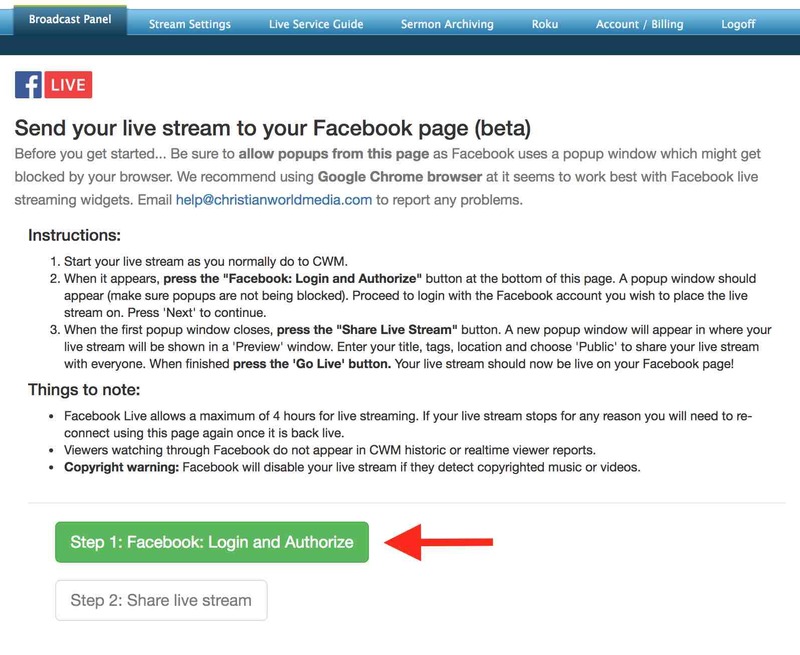 Login using the Facebook account you wish to stream to. For example, if you have a dedicated login for your church / ministry page, you would want to use those credentials and not your personal login. 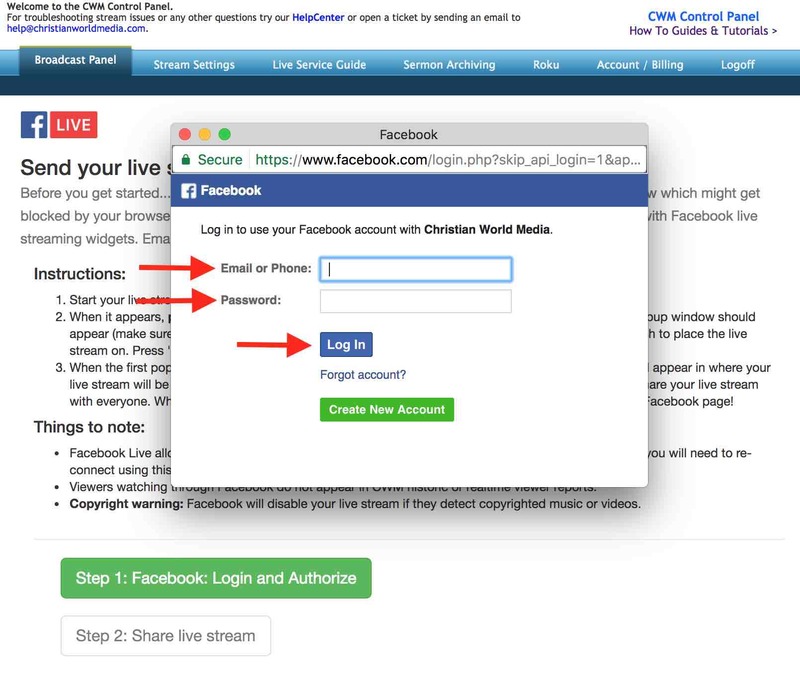 Logging in here authorizes CWM to send live video data to your Facebook account on your behalf. 4. After logging in, new options will be shown in the Facebook window. 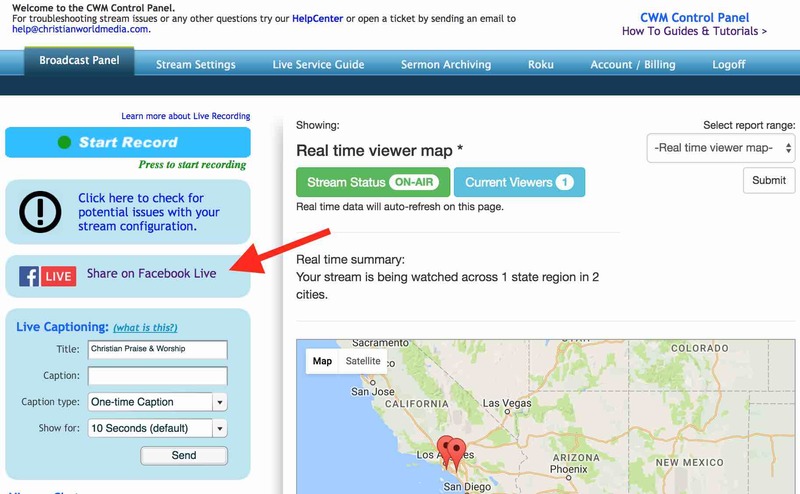 Choose how you want your live stream to appear and click Next when done. Normally you would want to send the live stream to your timeline and can leave the default selection. 5. 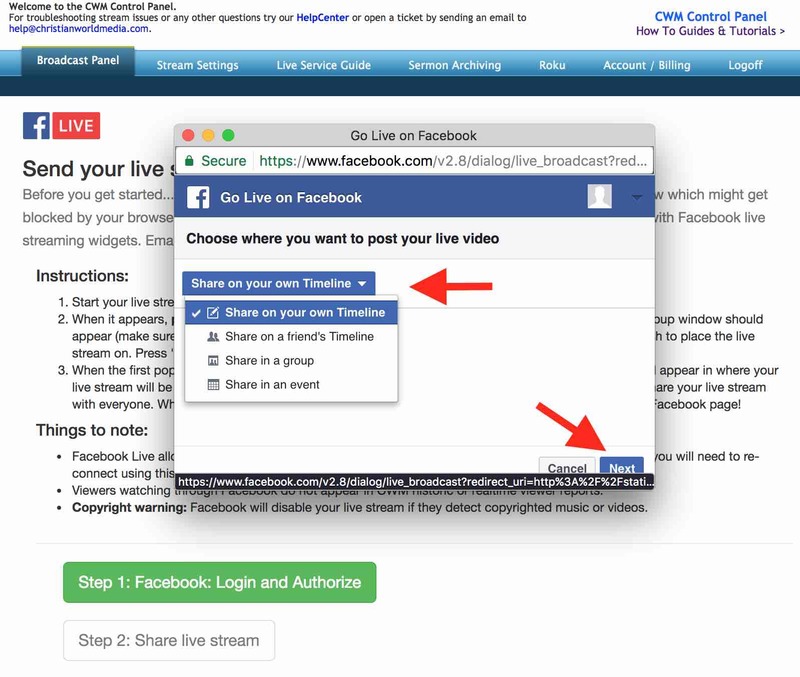 Now that CWM is authorized to handle your Facebook live stream, the Step 2 button will become clickable. Click on it to load the Facebook Live Preview screen. 6. 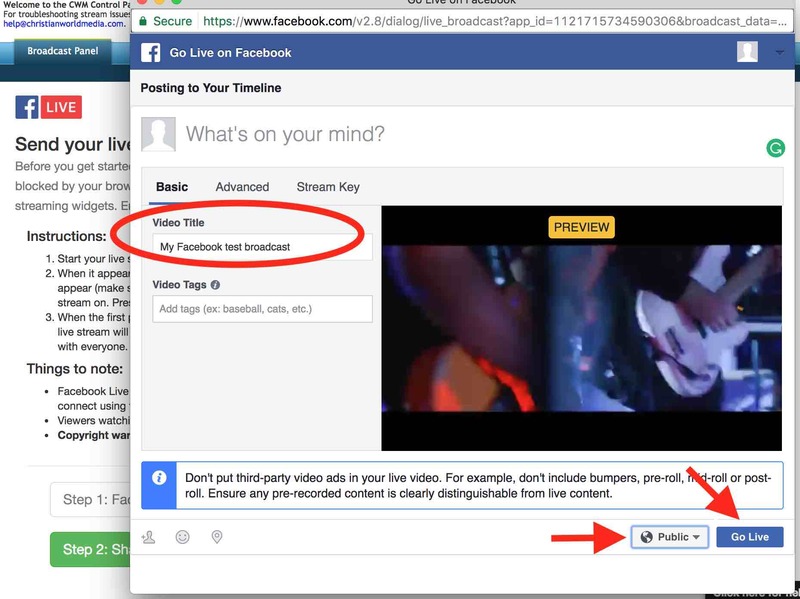 Your live stream should appear in the Facebook preview window within a few seconds. Once it appears, enter your Video Title and make sure visibility is set to Public. When you're ready to share the feed on your timeline, click Go Live. The Facebook Live Preview window will close and within a few seconds Facebook will begin showing your live stream on your timeline.